On 3 September at 10.00am, the Mayor of Silloth, Councillor Tony Markley will host a short flag-raising ceremony at the Community Garden on Silloth Green (on the corner of Criffel Street and Lawn Terrace). 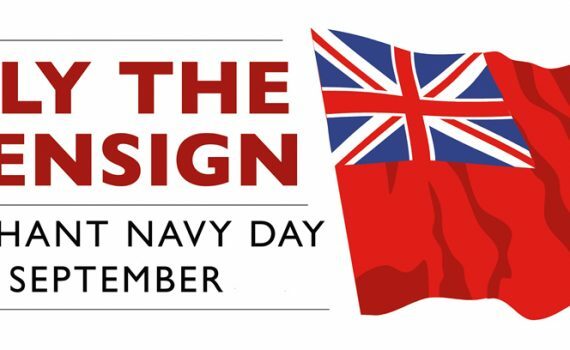 A Royal Ensign flag will be flown to mark the week-long celebrations taking place nationally in support of the brave men and women of the Merchant Navy, who kept our island nation afloat during both World Wars, and to celebrate our dependence on modern-day merchant seafarers who are responsible for 95% of the UK’s imports. A Green Flag will also be raised on 3 September, as Silloth Green is amongst a record-breaking 1,883 UK parks and green spaces to receive a prestigious Green Flag Award – the mark of a quality park or green space. This is the sixth year in succession for Silloth Green to be awarded a Green Flag which is quite an achievement. We would like to invite you to join us at the flag-raising ceremony and hope you will be able to attend.